The NHN PDC-100W series pivot door closers are suitable for timber, aluminium and steel doors. Incorporating the latest cam type technology, the NHN PDC-100W pivot closers offer easy opening with increased efficiency on the closing torque. The closing speed is easily adjusted via two independent adjustment valves. Available with or without hold-open at 90º. Narrow style with high performance. Easy installation; Cost saving & Time saving as no preparation on the floor required. 5 year Guarantee against faulty workmanship. 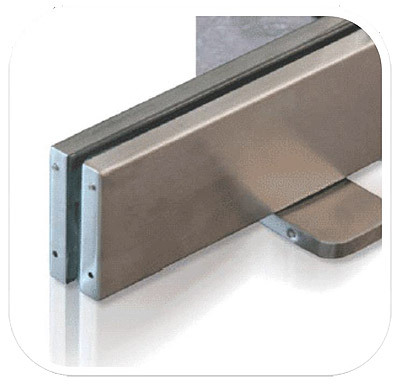 Suitable for double action doors, maximum 950mm wide and a maximum weight of 100kg. Low opening resistance and high closing efficiency. Simple final adjustments, 3mm backwards / forward, 3mm left / right, ± 4º alignment. Ambient temperature -20 C - + 40º C.
Cover plates in satin stainless steel as standard. Polished stainless steel available. Complete with top pivot set. The NHN PDC103WNHO is an Internal Pivot Door Closer. Incorporating the latest cam type technology, the NHN PDC-103WSHO pivot closer offers easy opening with increased efficiency on the closing torque. The PDC103WSHO suits internal doors. For external doors, please choose the PDC105WSHO (click to view). Incorporating the latest cam type technology, the NHN PDC-105WSHO pivot closer offers easy opening with increased efficiency on the closing torque. 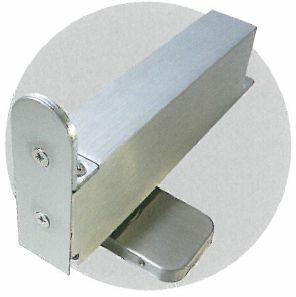 Suitable for double action doors, maximum 1250mm wide and a maximum weight of 100kg. The NHN PDC105WSHO Pivot Door Closer suits External Doors. The NHN PDC105NHO Pivot Door Closer suits External Pivot Doors.